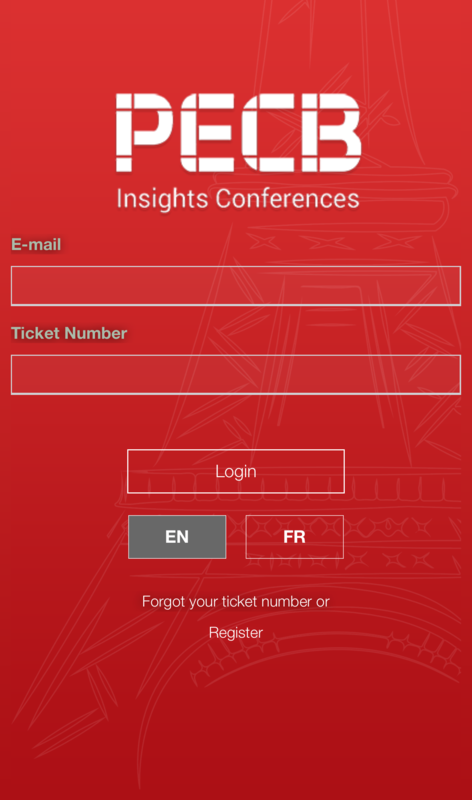 To access the PECB Insights Conference app you need to be registered, and book a ticket at the PECB Insights Conference website. 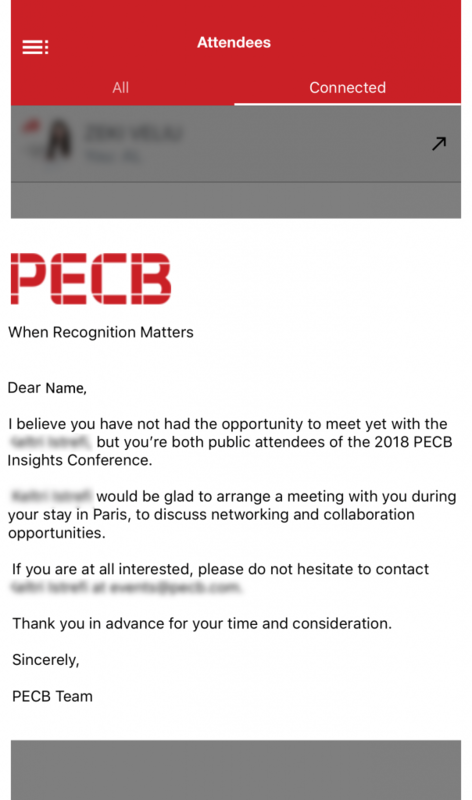 If you are not registered you need to go to https://pecb.com/conferences/register/. 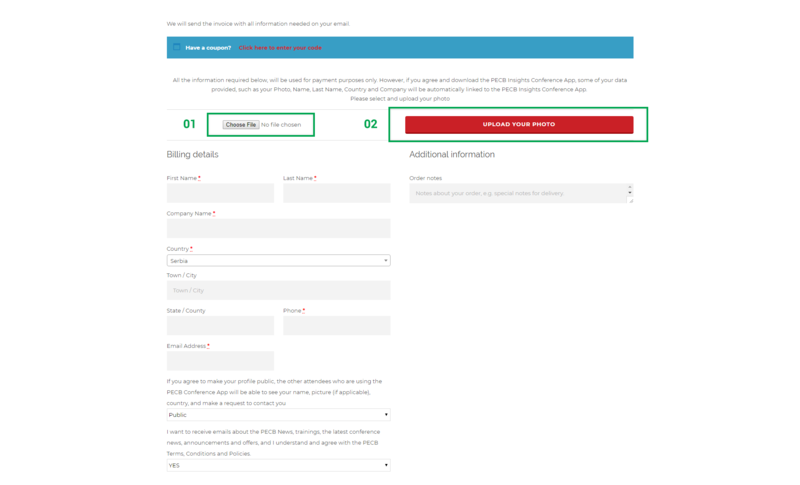 You can purchase one or more tickets, by clicking on the “Buy Now’’ button that is located at the bottom of each option. 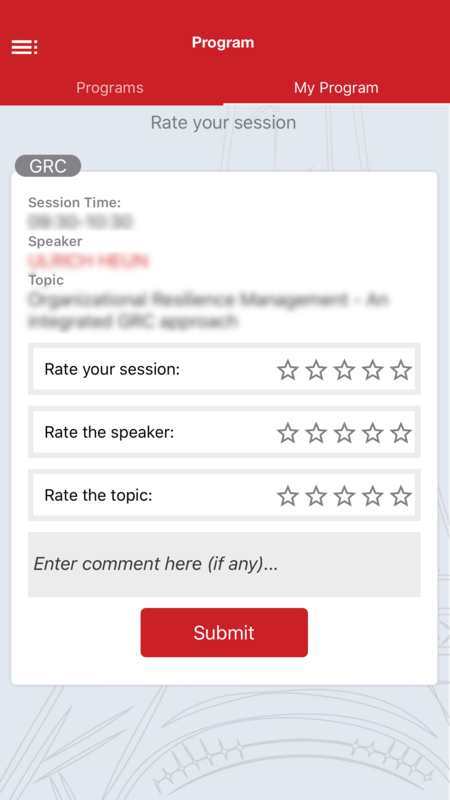 Choose the type of conference badge that you wish to have during the conference, then click ‘’ADD TO CART’’ button. A “VIEW CART’’ ribbon will appear at the top right side. You can proceed by clicking ‘’VIEW CART’’. 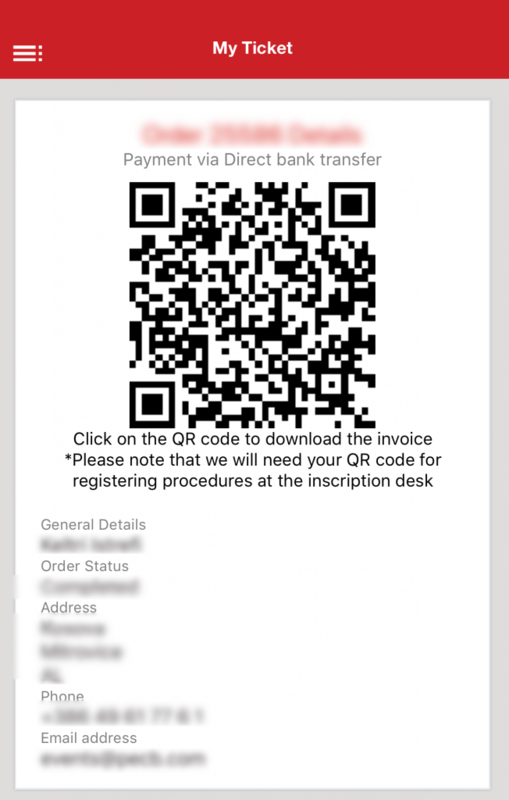 In this step, you can view your order and use coupons before you proceed. 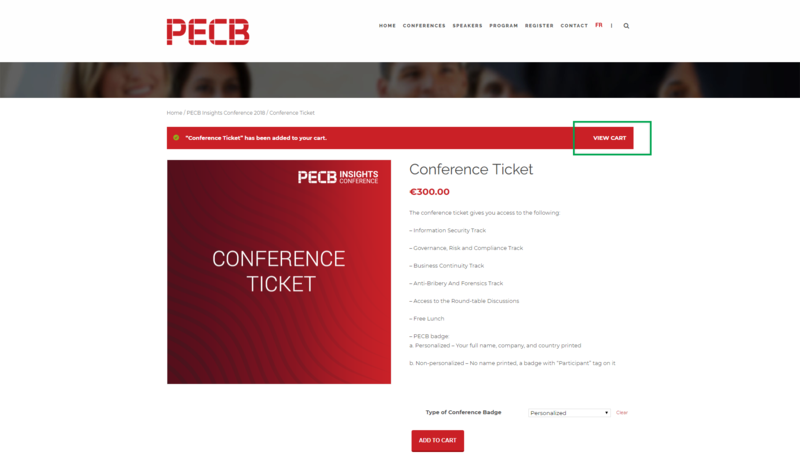 If you are a PECB Certified individual you can use your certificate number as a coupon code to receive a discount for the Conference Ticket. If you do not have a coupon code, please click PROCEED TO CHECKOUT. Upon proceeding to checkout, you will be asked to provide your personal information and payment method. 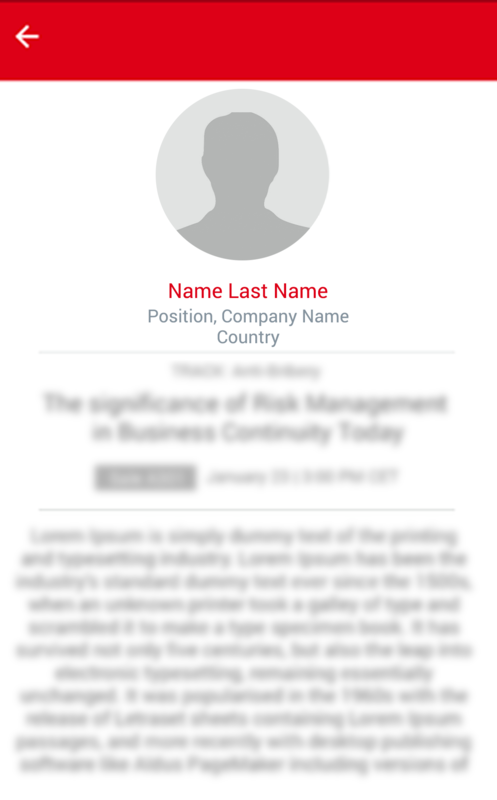 The information provided in the form (Photo, Name, Last Name, Country and Company, Privacy Notifications) will be automatically linked to your PECB Insights Conference App profile. 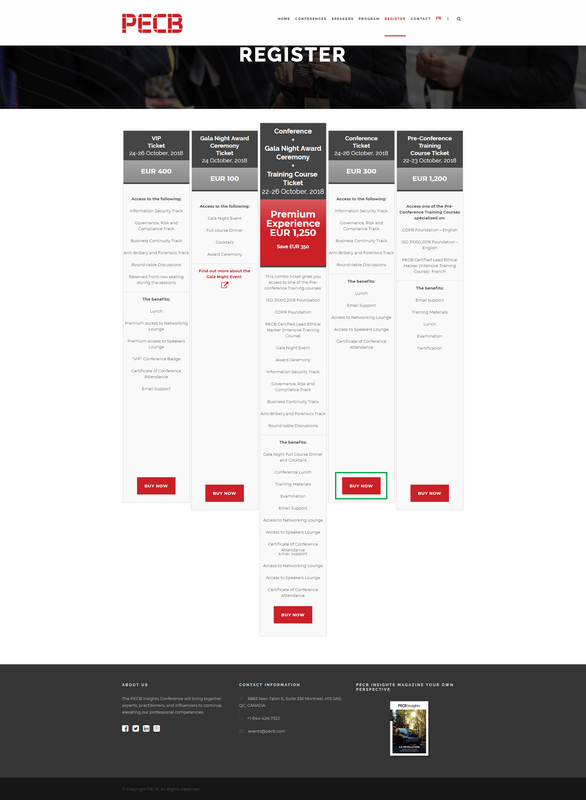 After providing the required information you can proceed by clicking PLACE ORDER. Click choose file, and after selecting your favorite photo, click upload photo. 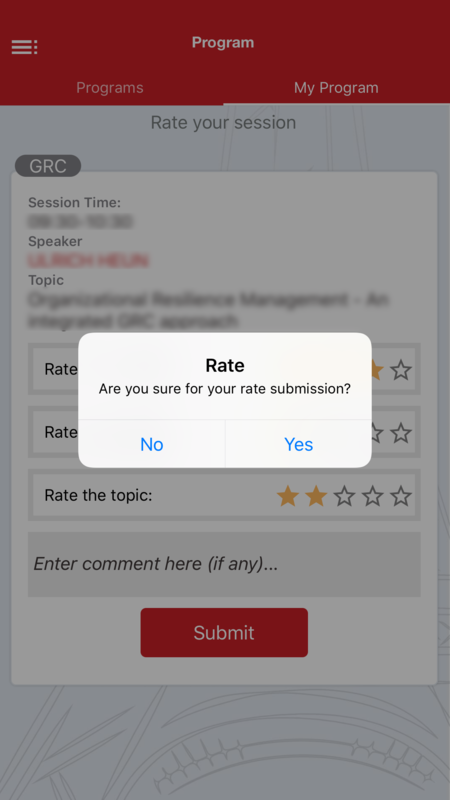 This will be automatically linked with your conference app. Uploading a picture is not mandatory. 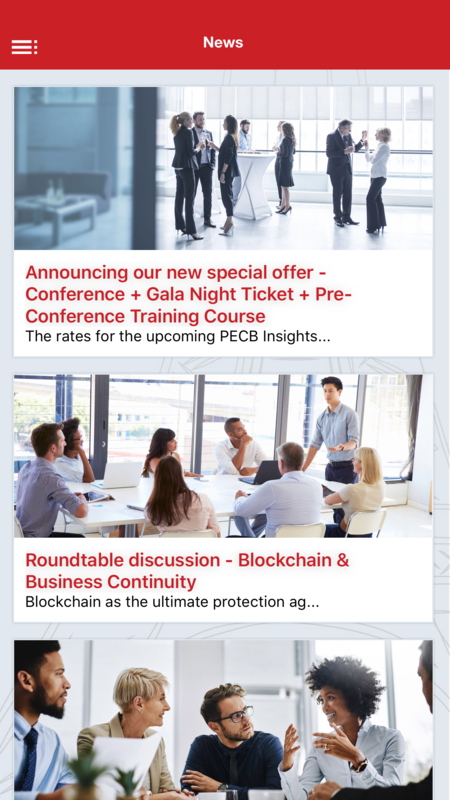 Download the PECB Insights Conference App at Apple Store or Play Store. 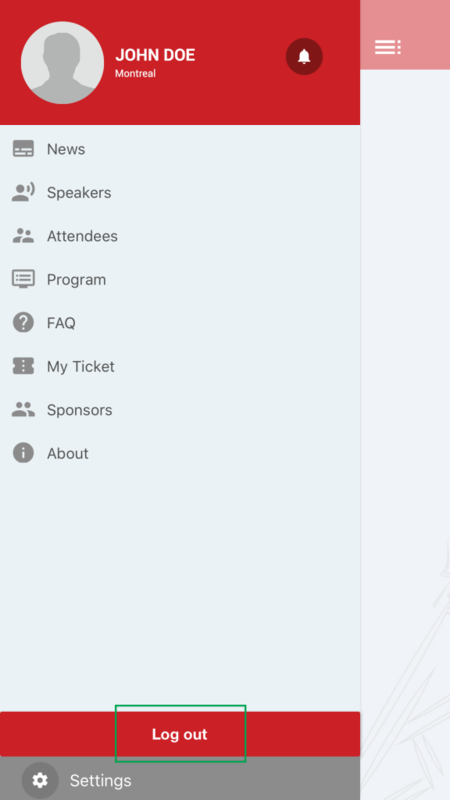 Please note that only registered attendees who have received a payment confirmation from PECB, have full access to the Conference App. 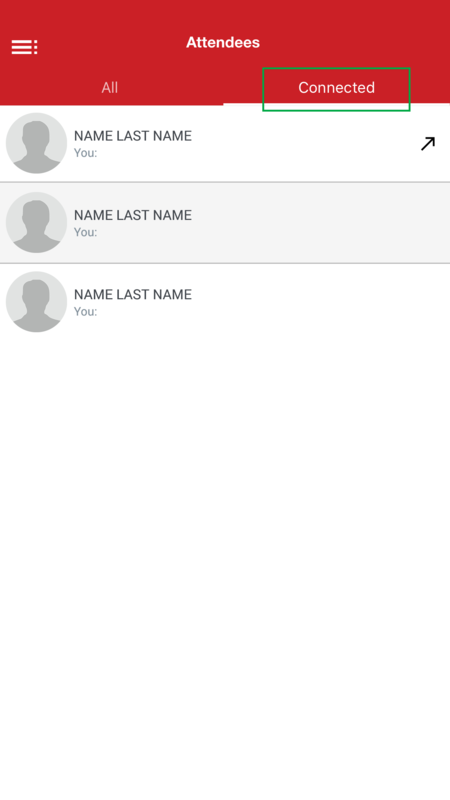 You have to use the email you used during the registration process as the login email. The password is your ticket number. 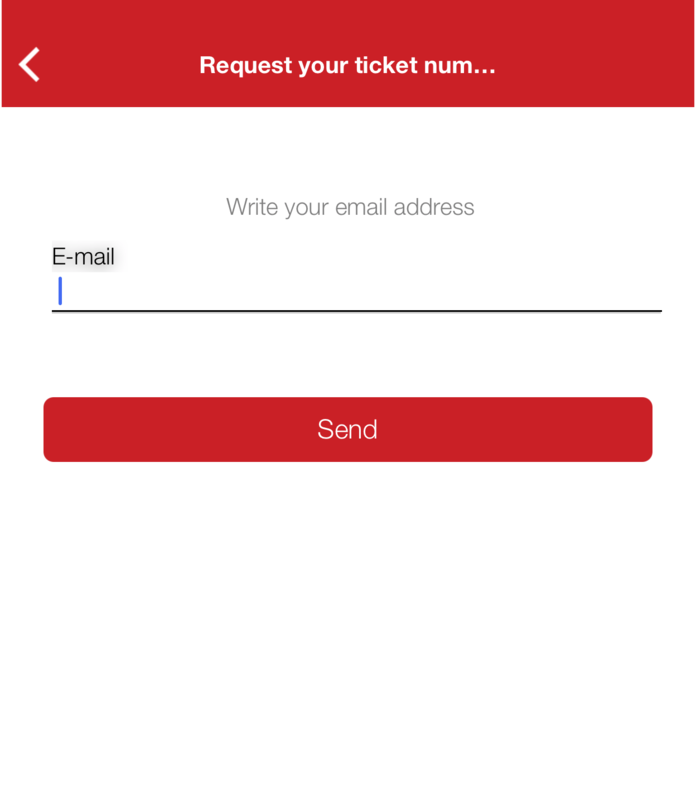 The ticket number can be found in the email confirming your payment order (email with subject “Thank you for your order”). You can switch the language of the app from English to French. 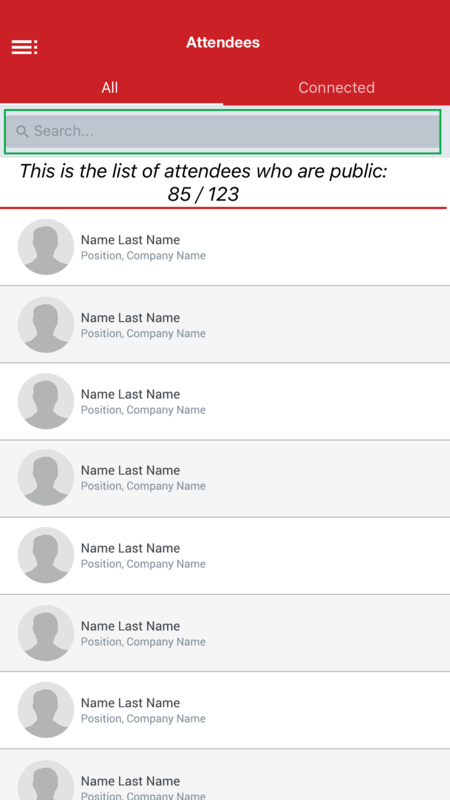 During your first login, you will see a screen as shown below. 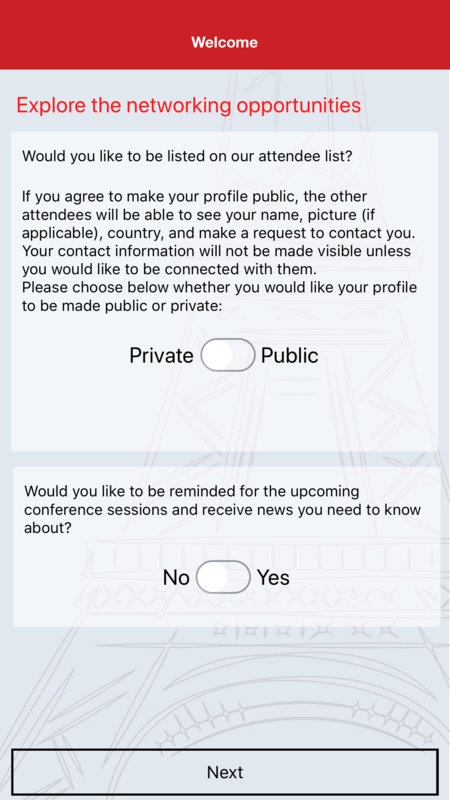 You can choose your profile status (Private/Public) and event notifications (No/Yes). Public – you will be visible to other users in the App and you can see other users as well. Private – you cannot be seen by other users in the App and you cannot see other users. 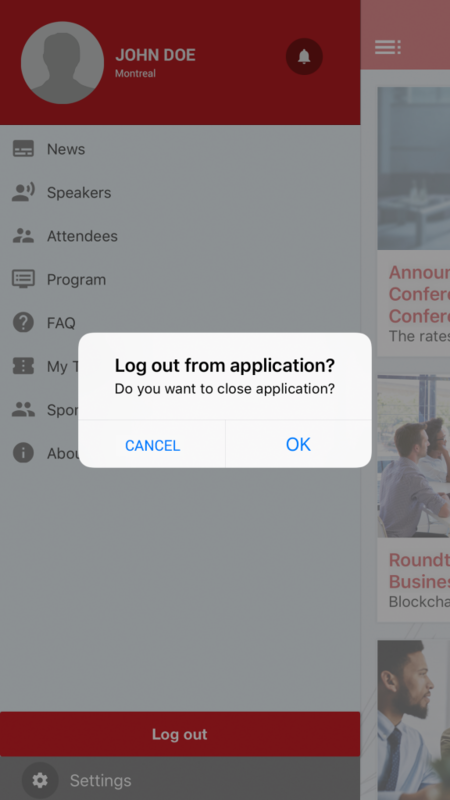 No – you will not receive any notification regarding the conference sessions and or any other related news. 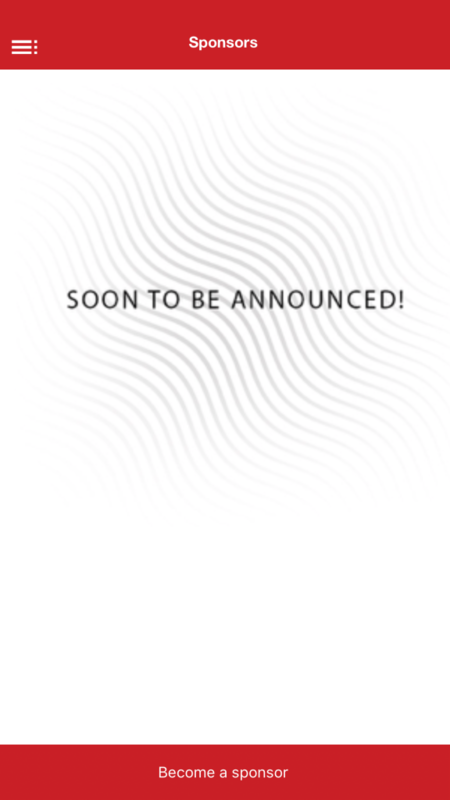 Yes – you will receive notifications and news related to the conference. 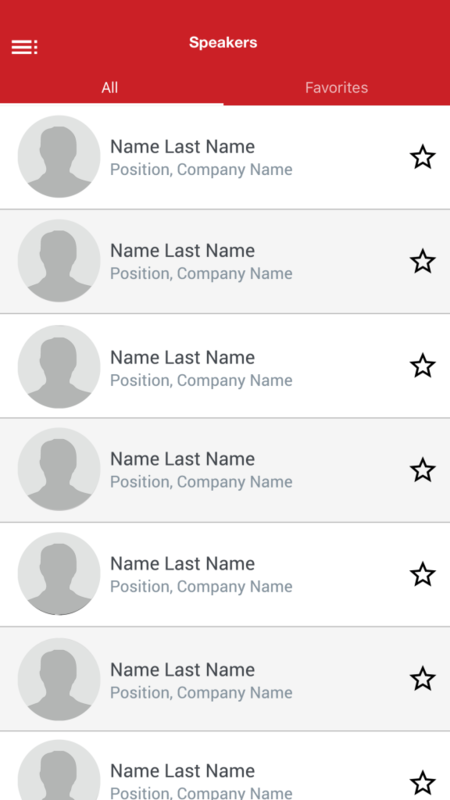 Notifications will be visible in your app as shown in the picture below. Once you log in, you can access any of the menu items shown below. By clicking the “News” option, you will be able to see all the PECB Insights Conference news. You can read more about each article by clicking on it. 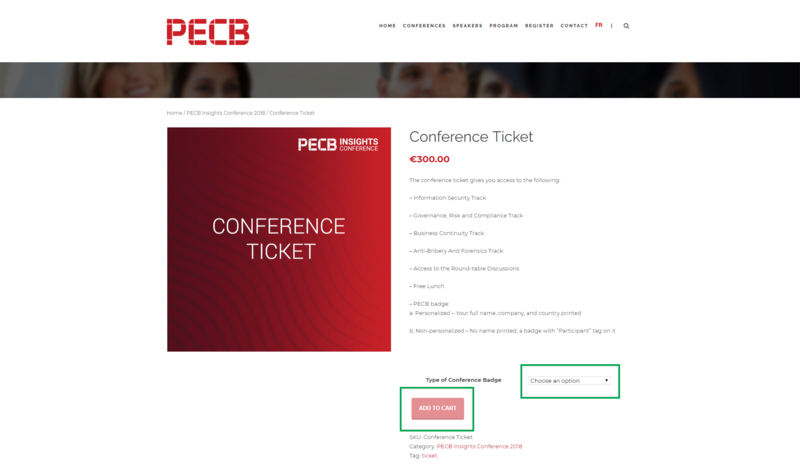 Selecting “Speakers” in the menu will show a list of all PECB Insights Conference speakers. You can find more information about each speaker and their presentation by clicking on their profile. If you want to mark one or multiple speakers as your favorite, you can do so by clicking on the stars next to their profiles. By marking your favorite speakers, you will be able to easily find them and their sessions at “Favorites” section, when the conference starts. You can view the list of your favorite speakers by clicking the “Favorites” option at the top right corner. You can remove a favorite speaker by clicking again on the star next to their profile. If your profile is public, you will be able to see other attendees with public profiles. If your profile is private, it means that your profile will not be visible to others, and you will not be able to see others’ profiles as shown below. 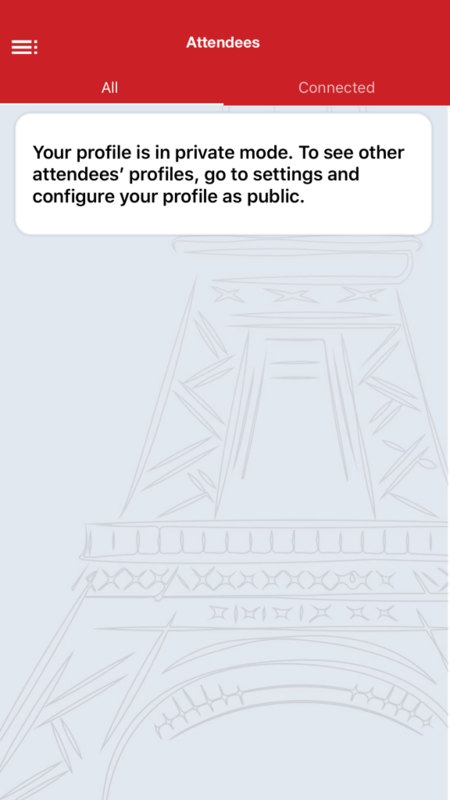 If you want to change your profile from Private to Public, you can go to the “Settings” section and change the status at any time. 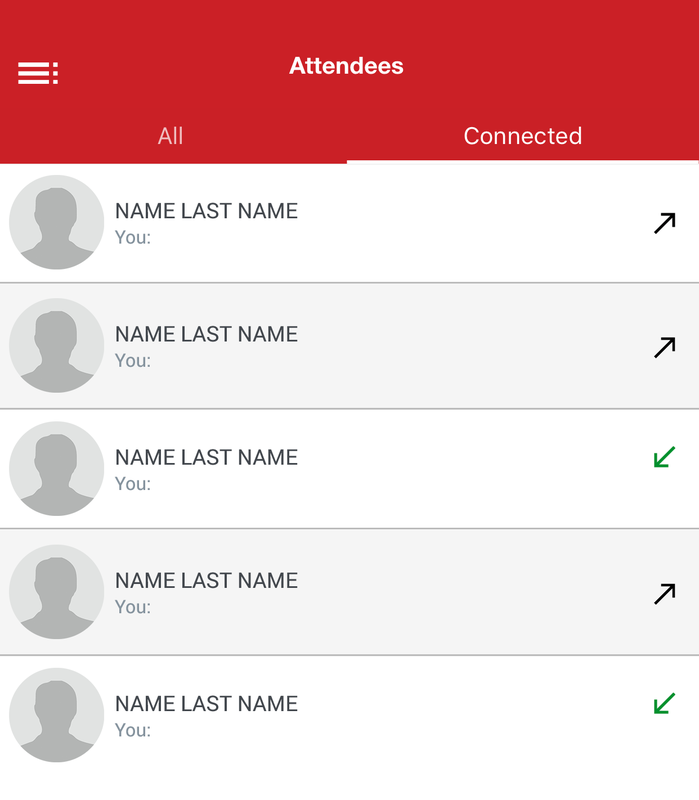 To find an attendee, you can search them by their first name or last name. 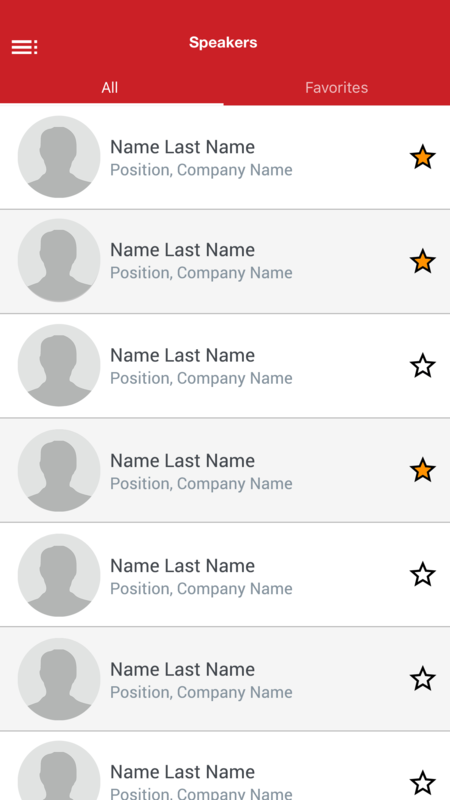 Clicking on the attendee’s profile will enable you to view more information about them. 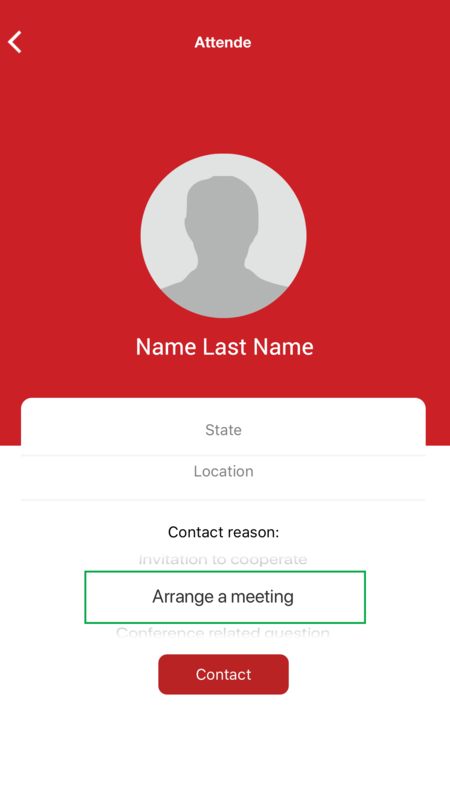 After sending the contact request, you can view the connected attendee by clicking “Connected” in the top right corner of the app. If you want to see the entire message sent to the attendee, just click on the profile of the attendee that you have contacted. The black upward arrow signals that you have contacted the attendee. The green downward arrow signals that you have been contacted by the attendee. 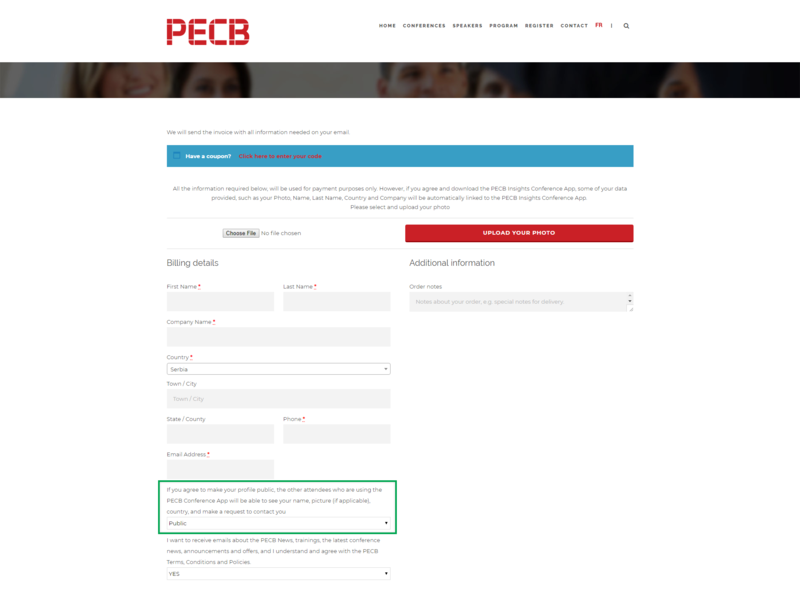 If you want to be informed about the PECB Insights Conference program you have to click “Program” in the menu list. 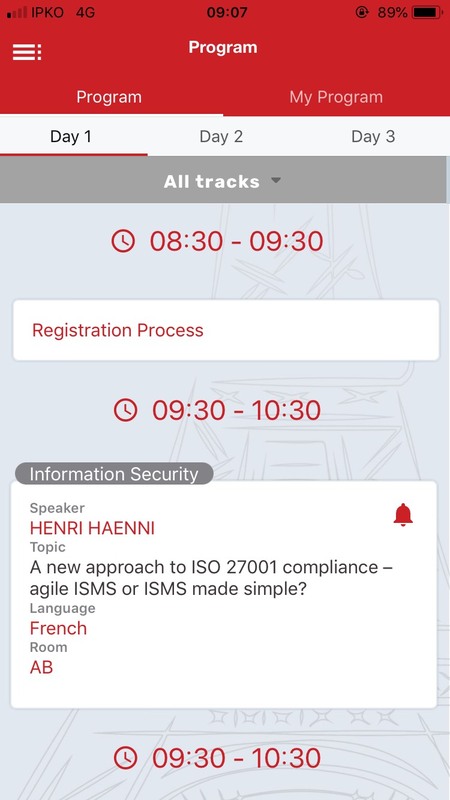 As there are 4 sessions happening simultaneously, you will be able to attend only one of the sessions at a time. 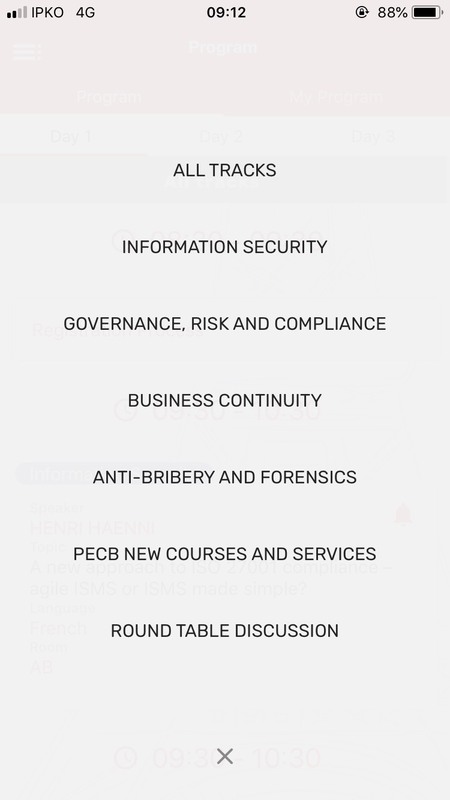 You can easily navigate through the program by filtering the sessions of tracks that interest you the most: Information Security, Governance, Risk and Compliance, Business Continuity, PECB new Courses and Services, and Round Table Discussions. 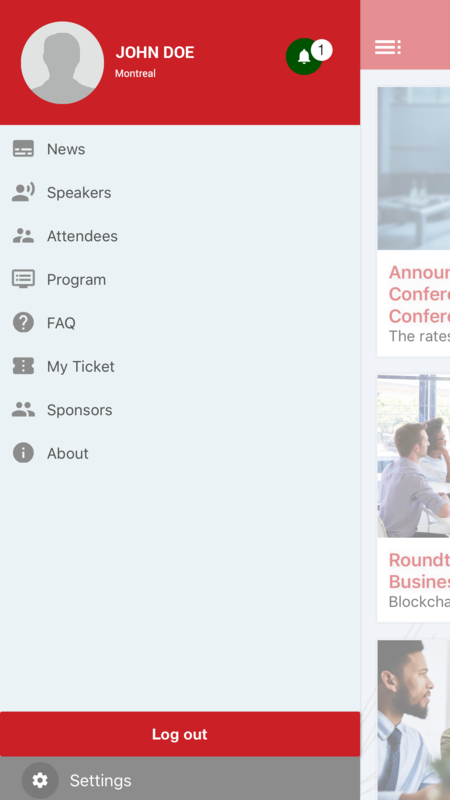 Get live updates and latest announcements at the conference. You can always unsubscribe from a program by clicking the red bell icon. 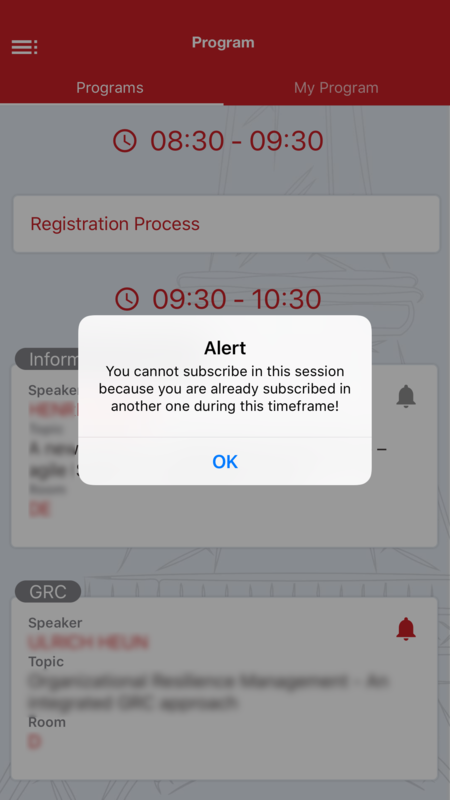 You will not be able to subscribe to two programs that are scheduled to take place simultaneously. You can view the programs that you subscribed to by clicking on “My Program”. If you have chosen to receive notifications, then you will be informed in advance when your subscribed sessions are about to start. 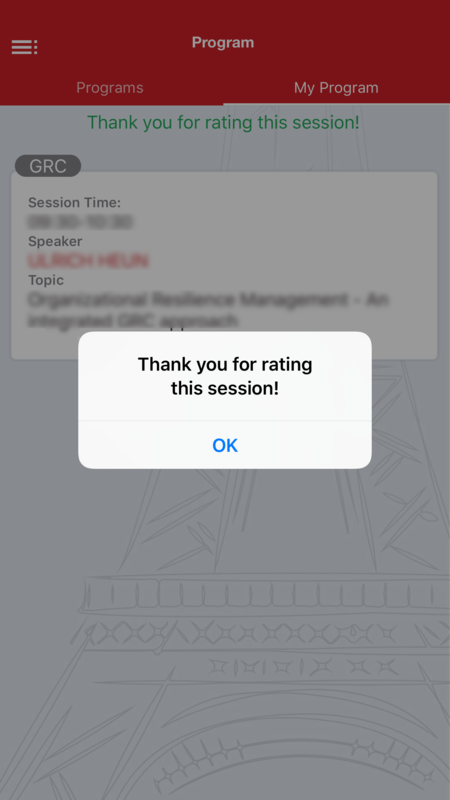 Also, you will receive notifications when the session is finished, and you will be able to rate that session. 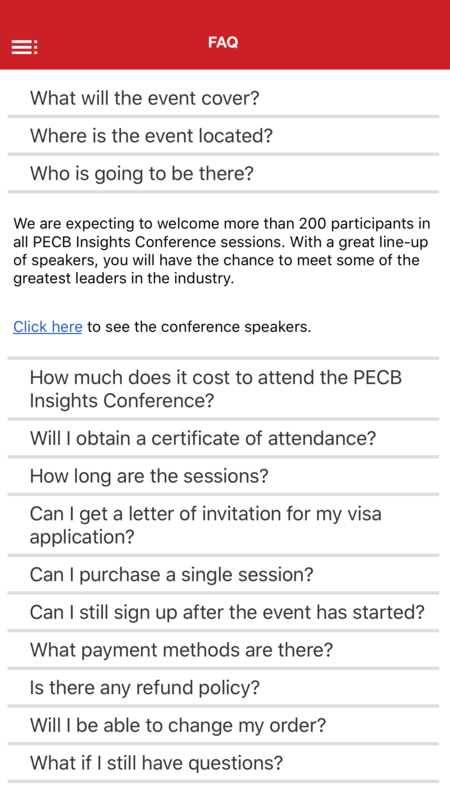 A list of questions and answers relating to the PECB Insights Conference 2018 can be found by clicking the “FAQ” option. 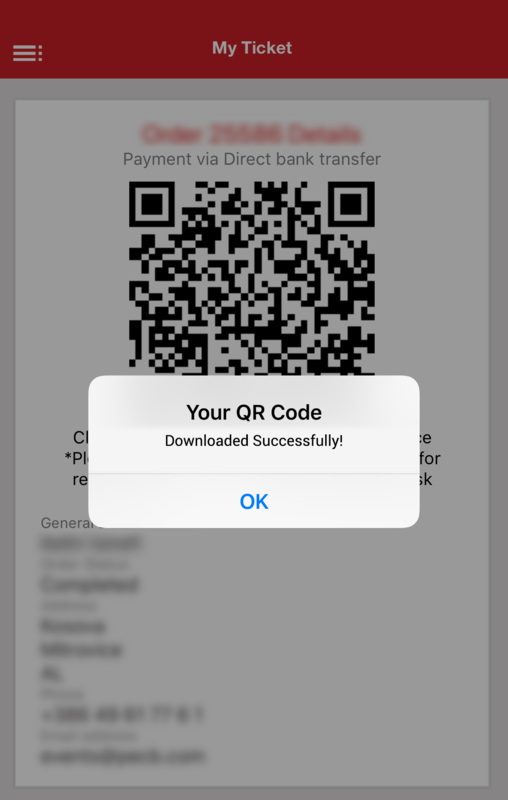 In ‘’My Ticket’’ you can find your personal information, order details, and the QR Code. ‘’My Ticket’’ will be available to you upon the completion of the payment order. You can download the QR Code by clicking on it. You can enter the PECB Insights Conference by scanning your QR Code at the inscription desk. If you want to see the conference sponsors, you can click the “Sponsors” menu option. Additionally, if you want to become a sponsor, just click the “Become a sponsor” button. You will be redirected to a page where you can submit a request to become a sponsor. 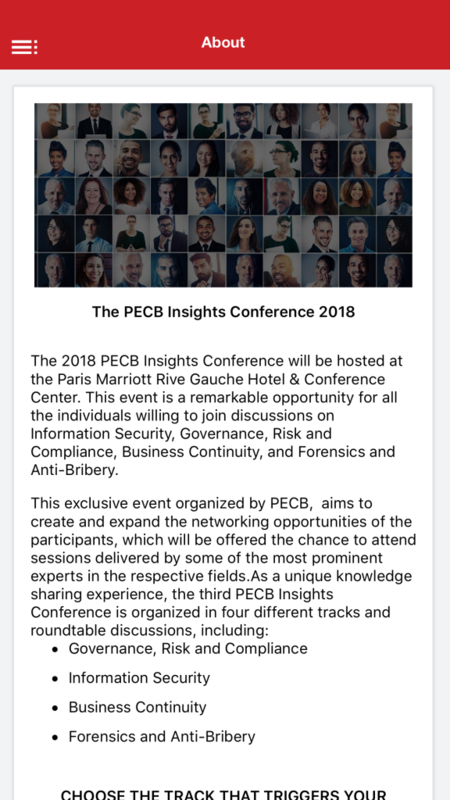 If you click “About”, you can find more information on how the PECB Insights Conference 2018 will proceed. Click ‘’OK ‘’to Log out, and ‘’Cancel’’ to remain logged in.